Increased business productivity – Cloud Services are available in the office, at home, or on the road. Greater flexibility – The cloud grows as your business grows. Typically more cost effective – Only pay for the services you require, and no surprising maintenance or repair costs. At Cohesive IT Solutions, we have experience with various cloud-based systems, and even use some of them within our own day-to-day practices to ensure that our business can work efficiently and effectively. Cloud Email – instead of hosting your own email on your own server which you need to maintain, we can help you move your emails to the cloud using quality, trusted email servers around the world. We can even do it at a price that is typically much more cost effective for small businesses. 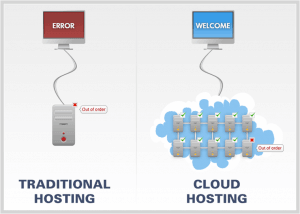 Web Hosting – we utilised only the best web hosting services, which have a proven track record of reliability and performance. 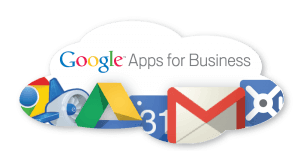 Google Apps – whether you want to host your email accounts through Google Apps, or take advantage of Google Sites, Google Drive, or any other aspect of the Google Apps system for businesses, we have the experience to help you. 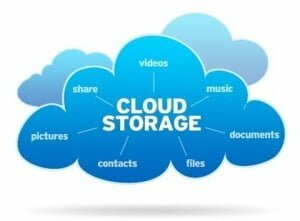 Cloud Storage – we have used various cloud-based storage systems, and can help you find the best one for your business. If your business hasn’t considered using the cloud yet for some of its key systems, then talk with us today about how you can reap the benefits of the cloud.